​As the first woman to head the Pennsylvania Department of Transportation, diversity is a critical issue for me. My goal is to make PennDOT a leader when it comes to a diverse workforce and an agent to advance opportunity for those who do business with us to deliver the very best in transportation services. PennDOT participated in a diversity networking and outreach event at California University of Pennsylvania earlier in 2018. A new pilot program for Small Business Enterprises (SBE) to compete as prime consultants for federally assisted preliminary engineering and final design agreements. Seven projects will be included in the pilot in federal fiscal year 2018 (started Oct. 1) and will run to project completion. Based on the measurable outcomes, the program may be expanded to include other contracting opportunities. Hosting and participating in many networking and outreach events that include information about marketing, the Diverse Business Enterprise (DBE) certification process, contracting, and upcoming projects. Three were held in 2017 and two were held in 2018. This year's — at California University of Pennsylvania and Cheyney University — included 53 and 78 participants, respectively. PennDOT also collaborates with local and state governments, business, and advocacy groups to provide training and outreach. Collaboration with Cheyney University of PA to encourage firms to do business with PennDOT. 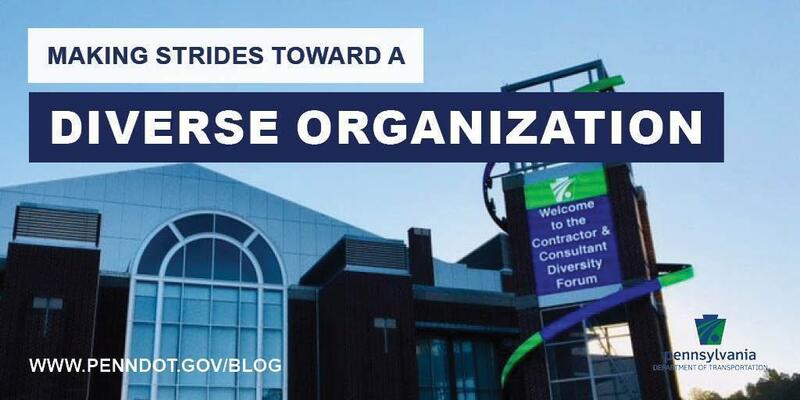 Cheyney University provides business development planning, including training and workshops for Diverse Businesses, Small Businesses and DBEs, to build a diverse business community to work in the transportation industry. Launched an Advisory Council in 2017 to increase networking opportunities and provide a forum for stakeholders to address barriers to doing business with PennDOT. The council membership includes PennDOT staff, trade and advocacy organizations, and DBEs and small businesses. A Lean management review of PennDOT's DBE certification process, including requirements imposed by federal regulation and PA UCP procedures, was recently completed. The final report recommended outcomes and measures to implement short-term and long-term changes for a more efficient certification process. A management review of the PennDOT DBE program, processes, and resources will take place in 2019. Additionally, we commissioned a Disparity Study last year to identify if any disparities exist in our horizontal construction and construction-related engineering and professional services contracts. The study period ran from July 1, 2011, through June 30, 2016, and included quantitative and qualitative data from a number of sources, including PennDOT's engineering and construction and management system (ECMS), construction partners, and various minority- and women-owned businesses themselves. I am gratified that the disparity study shows PennDOT has made good progress, especially with our subcontractors. The study concluded that minority- and women-owned businesses received about $1.11 for every dollar that they might be expected to receive based on their availability for the relevant prime contracts and subcontracts that we awarded. That is a plus. We will continue to work to improve opportunities for these enterprises in our prime contracts. More information on DBE, SBE, and DB programs — including certification, goal-setting, and compliance — can be found on our website on our Equal Opportunity page.